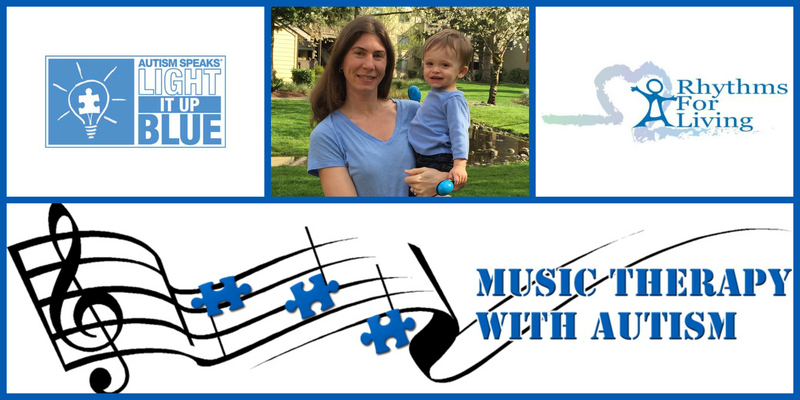 April is Autism Awareness month and was kicked off on April 2nd with Light it up Blue! People worldwide showed their support by donning blue shirts and ribbons, changing their light bulbs on their houses to blue, and major buildings across the world including the Pyramids, Empire State Building, Sydney Opera House, and more glowed blue. 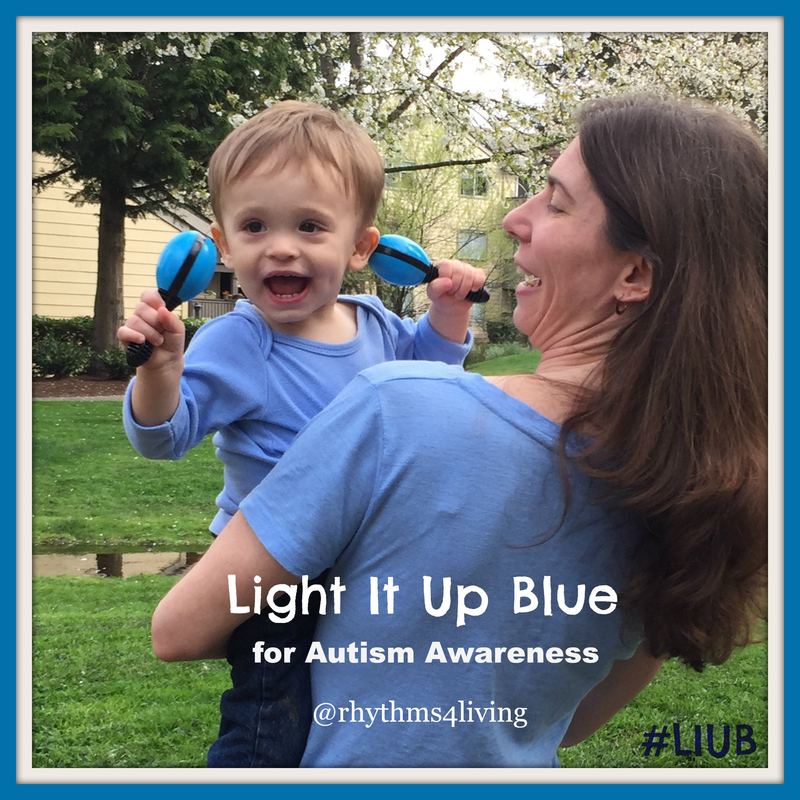 At Rhythm For Living we also donned our blue for Autism Awareness. Even our maracas were blue! 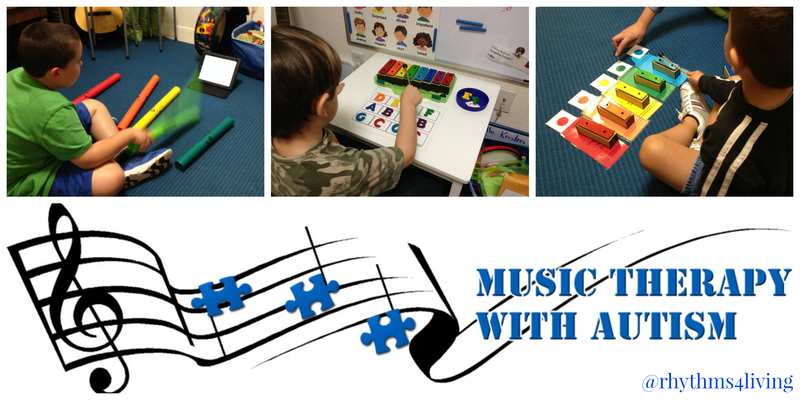 With early intervention and preschool: In this example we use music to address reciprocal interaction, eye contact, focus and attention, following directions, taking turns, giving and taking, and sensory input. 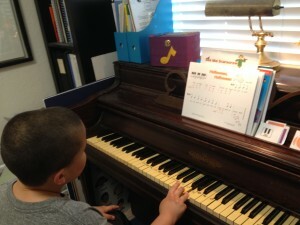 With adaptive music lessons: In these examples a child with autism receives adaptive music lessons. 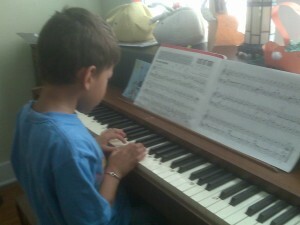 Some students need extra help in learning an instrument. As board certified music therapists we are trained to use our therapeutic skills to find different ways to teach a student that does not learn in the traditional way. Whether its visual aids, reinforcers, following a schedule, taking breaks, or color coding the music, we will work to find the best way for the student to learn and be successful. 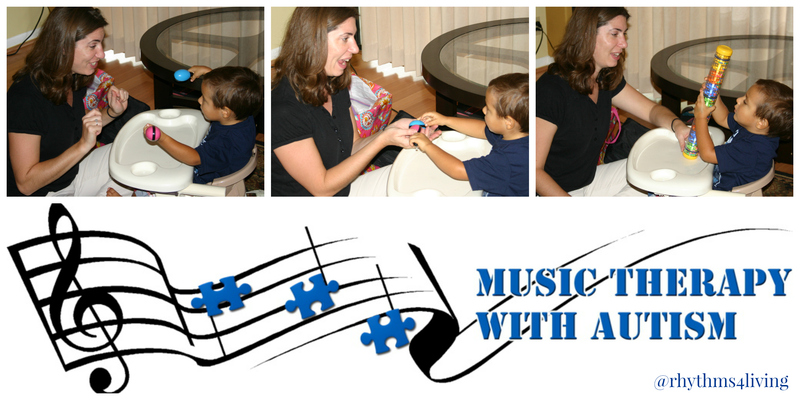 If you want to read more about how music therapists use music with autism check out our Music Therapy with Autism page on our website.